First post on this series about our Japan trip last December 2016 to January 2017. This will all be about how we saved a whopping $300+ (per person) on our train fares in Japan. To save you from all the reading below, here's the quick tip -- JAPAN RAIL PASS (shortened as "JR Pass"). TL;DR -- Spent $256 on train pass and got $580 in value. Lifehack! Yaaasssss! 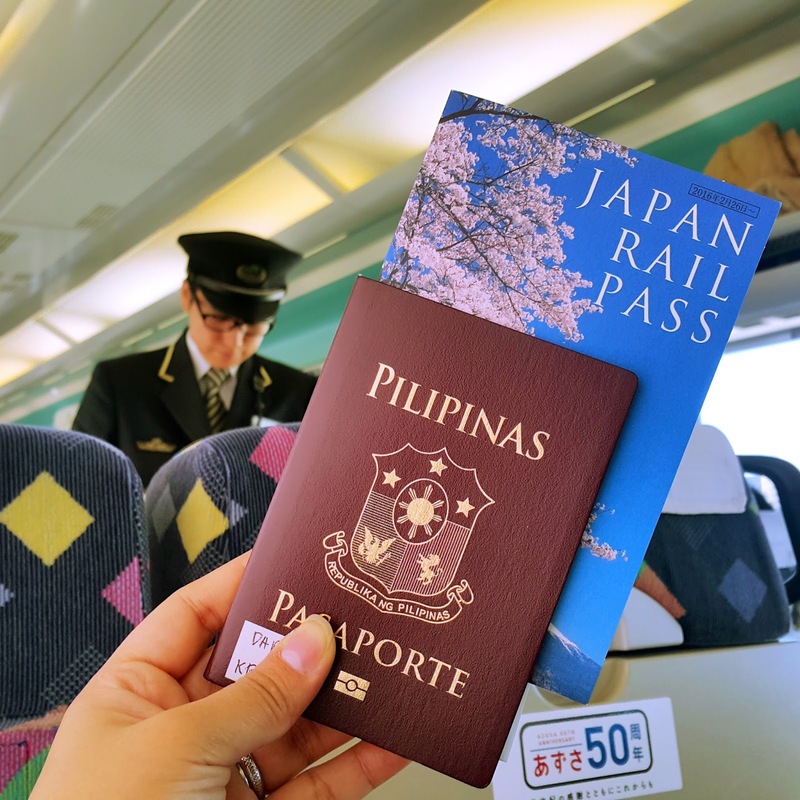 You always gotta bring your passport with you when you're using your JR Pass. Before our trip, I did quite an extensive research on whether I'll get us a JR Pass each or not. Many blogs talked about its disadvantages but my Math proved it was the best choice for us. That is why I am recommending* this to those who are planning to visit Japan or have already booked their tickets to the Land of the Rising Sun. * Only if you are planning to visit places that are far apart from each other. Otherwise, if it's just going to be within Tokyo or intracity, just find other passes you can use. I got our passes from a tour operator called Japan Experience. The entire process was a breeze. The shipment was too! I ordered on December 12 and I received the parcel shipped from France in just 2 days via FedEx! I'll make a review about this soon before this paragraph goes longer. The total cost for two JR Passes including the shipping fee and a "Japan by Train" Travel Guide was $513. That makes it $256.5 or about JPY 29,000 per person. JYP 65,000 imagine that! And we hadn't even maximised it because I got sick during the last day our JR Pass was active (see January 3 on the table) that's why we only explored downtown Osaka. And on the second day of our pass activation (see December 29 on the table), we had to transfer from our hostel in Asakusa to our new lodging I booked via AirBnB which was just a few stations away. It took almost half a day for that transfer cause we had to pack our things, wait for the AirBnB host, then unpack our things again. So yes, I don't need to yap much about this here cause the numbers speak for themselves. READ MY JR PASS INTRO POST. CLICK HERE!